Scrolling through my photo archive, I came across a set of photos I couldn’t believe we haven’t shared. These are just a taste from two visits made to the Royal Botanical Gardens‘ amazing Laking Garden iris collection in June 2014 and 2015. For many reasons, our opening shot lives up to its name. 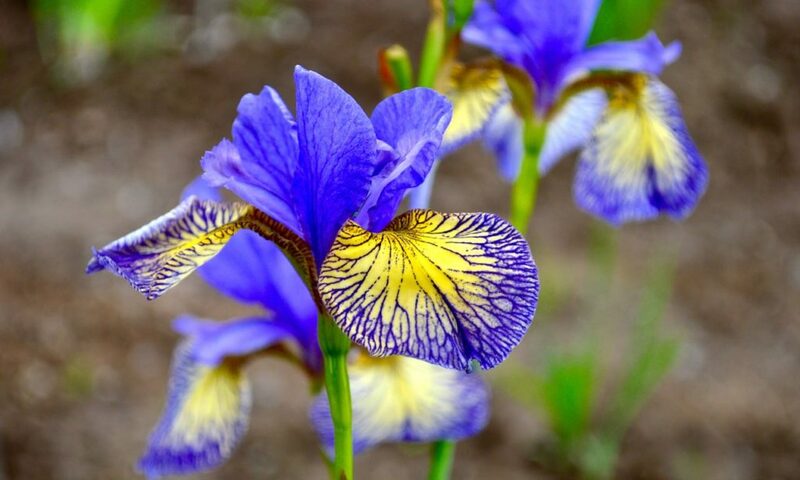 It’s Iris siberica ‘Banish Misfortune’ – what a perfect sentiment, don’t you think? 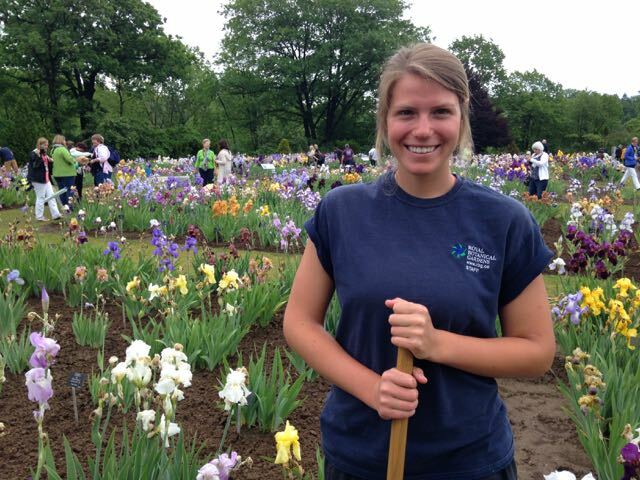 The Laking Garden is an enormous collection of irises, organized by date of introduction. 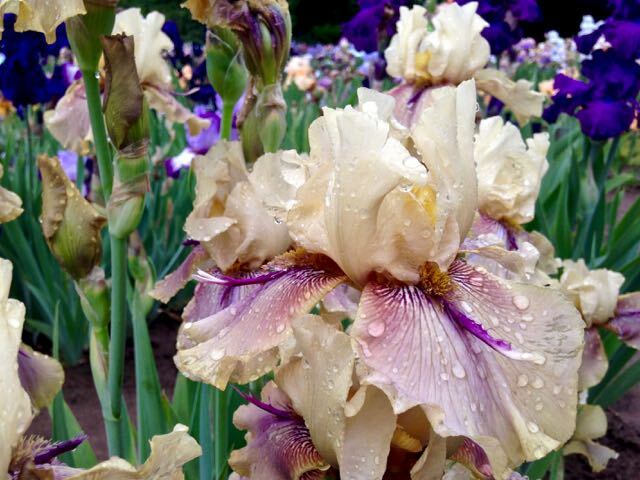 Irises bloom for what seems like a second, but to see them massed like this in early June is glorious. All are extremely well labelled. And, if you’re lucky, you might even catch a snapping turtle nesting amongst them. Just one quadrant of the RBG’s Laking Garden. Yes, there’s more! 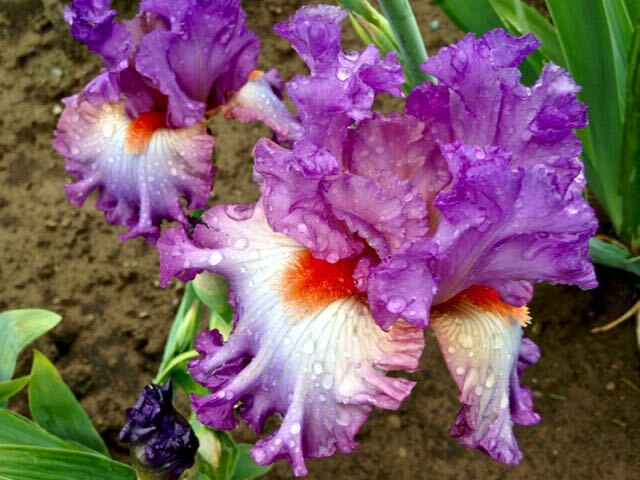 Iris ‘Thornbird’ – do you see the “thorn”? 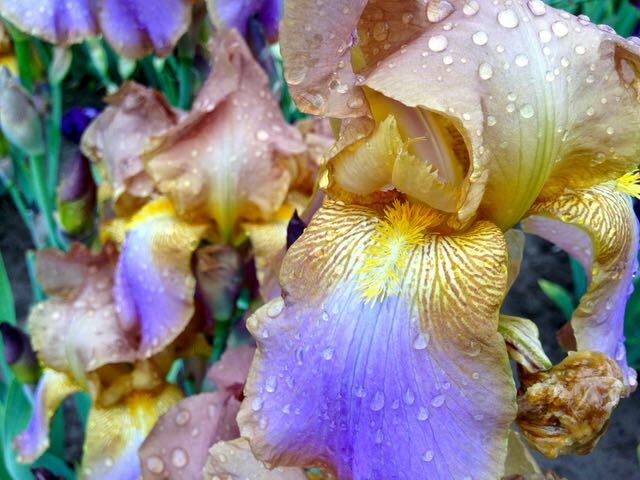 Iris ‘Opalesque’ – oh, so opalescent! Iris ‘Enough is Enough’ – which is exactly how I feel about politics at the moment. As the season dims into winter, think about how you can banish misfortune by putting the RBG on your garden agenda for 2017. 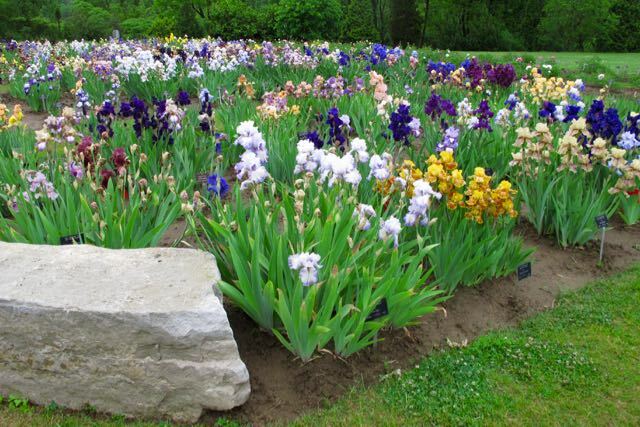 The iris collection, only recently planted when we saw it in 2014, will be even better established. And the new Rock Garden, which reopened this year after extensive renovation, will be another must-see. I was blown away by the iris collection – and seeing how tastes changed over the years was so much fun as was checking out all the creative names 🙂 I renewed my membership in late summer so I’ll be checking out the garden again next spring. If I lived closer, membership would make sense, as I’d probably be there often. However, I do want to make a return visit this spring. 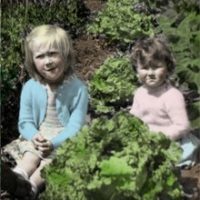 Perhaps we can arrange a meet-up! Mystery iris, who are you?